CREAF offers its own researchers as well as visiting researchers the possibility of working at a number of experimental research stations where they may carry out studies and long-term monitoring. 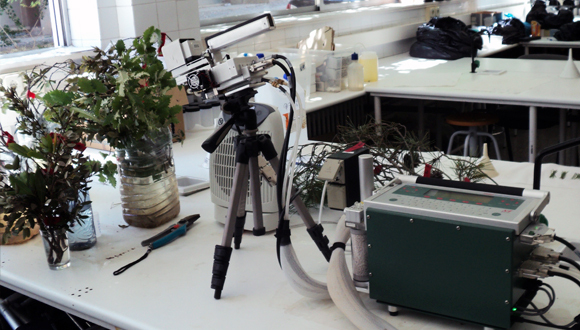 Some of these experimental stations have been studied for decades (Garraf, Doñana, Montseny) offering the possibility for investigating ecological processes during a long period of time and at large spatial scales. The center also has a number of research stations spread across the land, plots and experimental permaments temporary laboratories equipped to perform a wide range of technical and research space located in the heart of the Serra de Collserola, hosting research teams during the season lasts a research project in the metropolitan natural environment. In terms of computing the center has 150 computers connected to the network and a computer class determined to carry out training activities. As for the field work the center has a total of seven SUVs that give the mobility service.